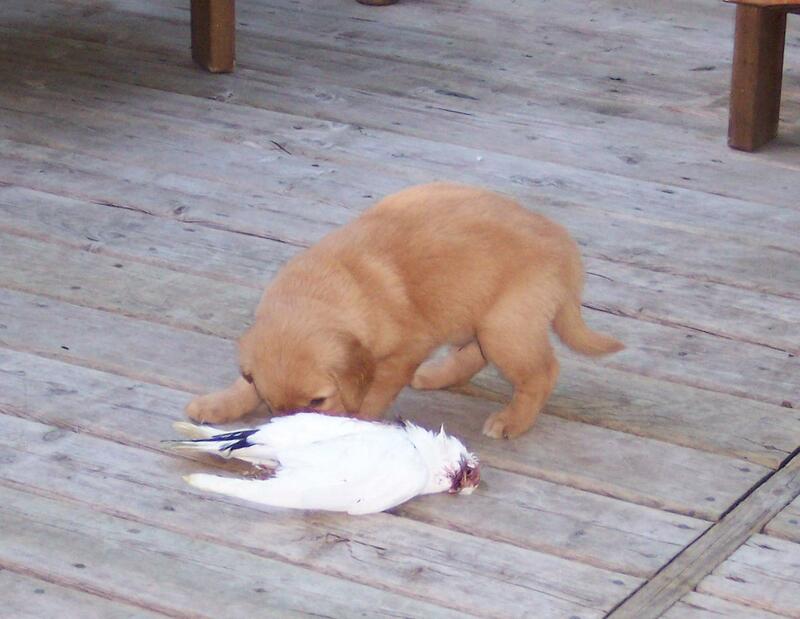 And here's learning to be big, tough, huntin' dogs. The puppies got introduced to pigeons this week. Everybody appeared to be VERY interested in the whole bird thing.